This thriller from New Zealand is the author´s third. I chose this one for the title because I wanted one I could use for both my reading challenges. The novel is well-written and captures one´s attention immediately (though it is written in the present tense), just as there is a nice streak of (dark) humour. 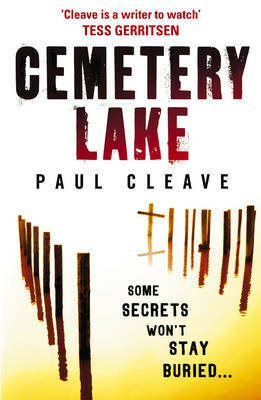 It begins when private investigator Theo Tate watches the exhumation of a grave. While waiting for the coffin of Henry Martins to resurface, he and the diggers see three bodies rise to the surface of the lake nearby. Later it turns out that the body in the coffin is not even the one that should be there. Theodore Tate is a former police officer who lost his little daughter and nearly lost his wife to a car accident (a drunken driver) two years ago. He soon gets personally involved in the case, partly because he cannot help feeling that if he and his colleagues had done a better job two years ago when Henry Martins died, they might have prevented the murders of four young girls. The plot of this somewhat dark thriller is exciting and unexpected, and even though the protagonist is not always very likeable and sometimes hits the bottle at the wrong moment, the reader gets to know him and to understand his flaws to some extent. I found the middle part less convincing than the rest as there are a few chapters which are more like Greek tragedy than real life, but after this lapse, the ending turned out to be very satisfactory. If you want to know something about New Zealand crime fiction, Craig´s blog Crime Watch is the place to go. What´s in a Name: A body of water. This entry was posted in 2010 global reading challenge, New Zealand, Paul Cleave, review, What´s in a name. Bookmark the permalink.